Cleveland, OH (November 19, 2018) – Georgia O’Keeffe: Living Modern offers a unique look into the fascinating connections among the paintings, personal style, and public persona of one of America’s most celebrated artists. Throughout her 65-year career, O’Keeffe defied convention and forged a fiercely independent identity that was integral to her art. Showcasing approximately 140 objects, including paintings, drawings, and sculptures alongside her garments (many shown for the first time) and photographic portraits of her, the exhibition reveals O’Keeffe’s determination to be strikingly modern in both her art and her life. Organized by the Brooklyn Museum, Georgia O’Keeffe: Living Modern is on view in the Kelvin and Eleanor Smith Foundation Exhibition Gallery from November 23, 2018 to March 3, 2019. Rejecting the restrained Victorian world into which she was born, O’Keeffe absorbed the progressive principles of the Arts and Crafts movement, which promoted the idea that everything a person made or lived with should reflect a unified, visually pleasing aesthetic. Georgia O’Keeffe: Living Modern is organized in sections that chart a chronology of O’Keeffe’s career. One large section is devoted to her early decades as a young artist in New York, specifically the 1920s and ’30s. At this time O’Keeffe honed a restrained palette of black and white, and a plain, relatively unornamented style that dominated much of her art and wardrobe. 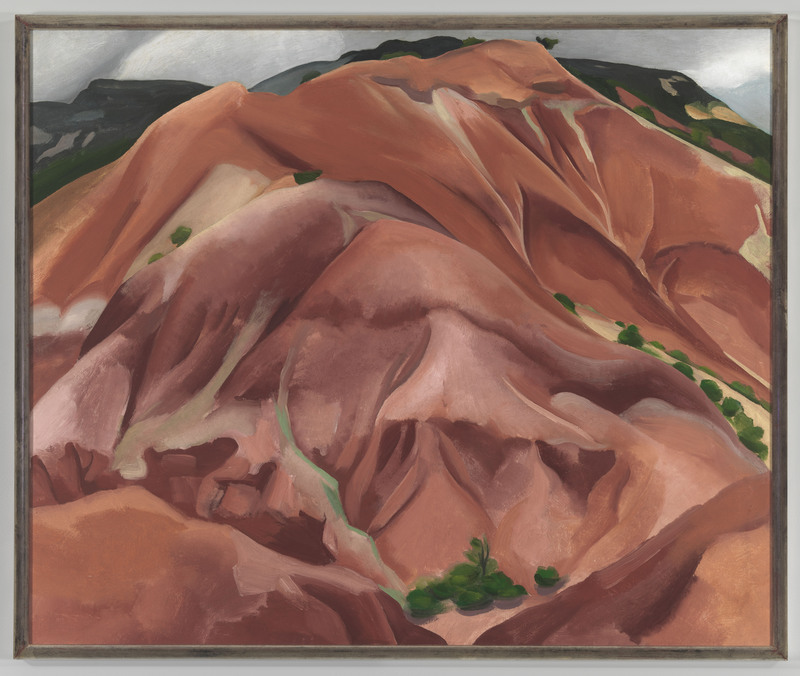 The exhibition’s next section is devoted to O’Keeffe’s mature career in New Mexico, where her art and clothing changed in response to the surrounding colors of the American Southwest. She began wearing blue jeans, which she proclaimed to be America’s national costume, and coupled them with long-sleeved cotton men’s-styled shirts. At this time, she routinely introduced color into her clothing, mostly blue, occasionally red—the palette of her wardrobe mirroring her New Mexico canvases. Another section of the exhibition addresses O’Keeffe’s appreciation of Asian cultures. She professed an interest in Chinese and Japanese painting as early as the 1920s and amassed an extensive library of books devoted to both. In 1959 she was finally able to travel to Asia, where she augmented what would become a collection of nearly two dozen kimonos, some of which she wore for bed and bath. 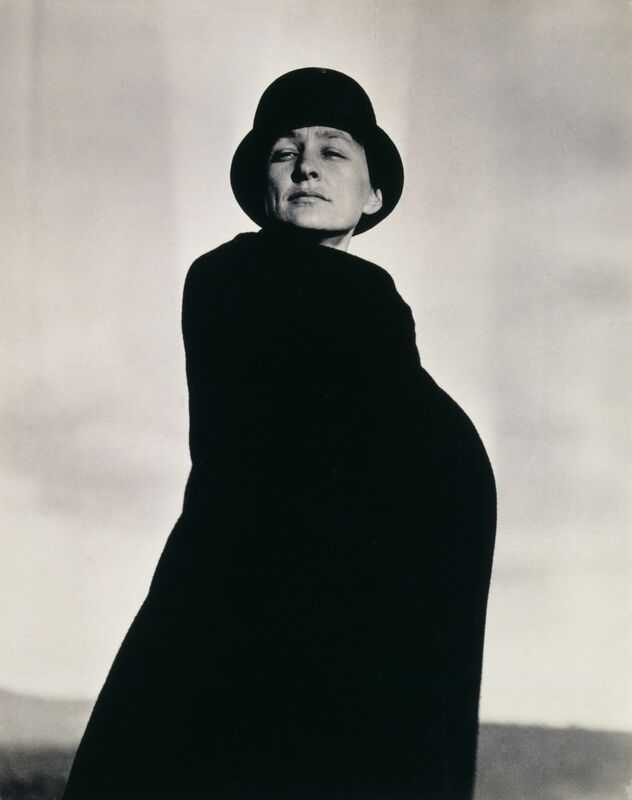 In this early photograph, O’Keeffe wrapped herself in a black cape and accessorized it with a bowler hat. Posing her against the lightness of the sky and photographing her from a low vantage point, Stieglitz interpreted O’Keeffe as androgynous and “mannish.” Like other nonconformist women during the 1920s, O’Keeffe loved challenging and confounding society’s conventional dress codes, and Stieglitz enjoyed dramatizing her boldness and modernity. O’Keeffe’s cape can be seen in the exhibition. The decoration at the neckline of this blouse recalls O’Keeffe’s paintings of crinkled autumn leaves and corrugated seashells. 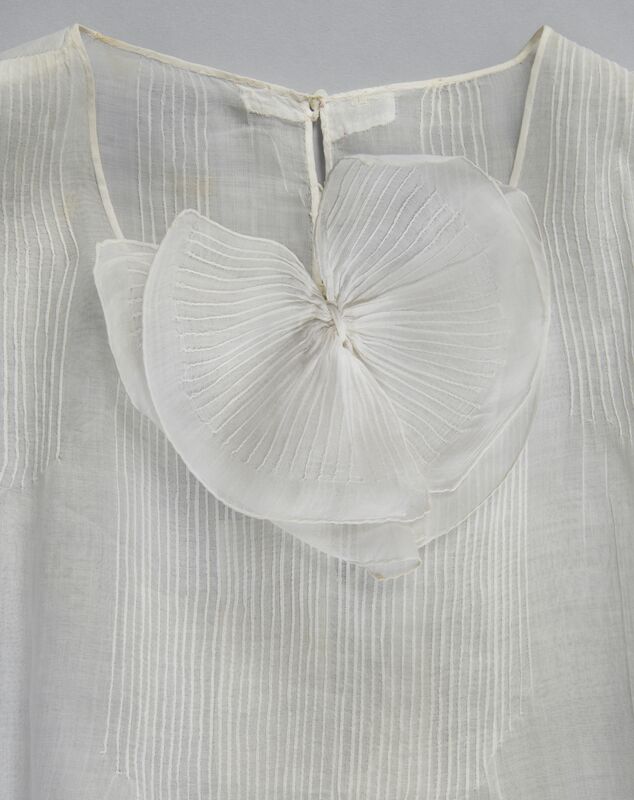 The blouse and the ornament are shaped by tiny pin tucks—each done by hand-- that look like the veins of a leaf. *Members will still be required to reserve a ticket for the member preview days. Published by the Brooklyn Museum, Georgia O’Keeffe: Living Modern explores how Georgia O’Keeffe lived her life steeped in modernism, bringing the same style she developed in her art to her dress, her homes, and her lifestyle. Richly illustrated with images of her art and views of the two homes she designed and furnished in New Mexico, the book also includes never before published photographs of O’Keeffe’s clothes. Author and exhibition curator Wanda M. Corn has attributed some of the most exquisite of these garments to O’Keeffe, a skilled seamstress who understood fabric and design, and who has become an icon in today’s fashion world as much for her personal style as for her art. 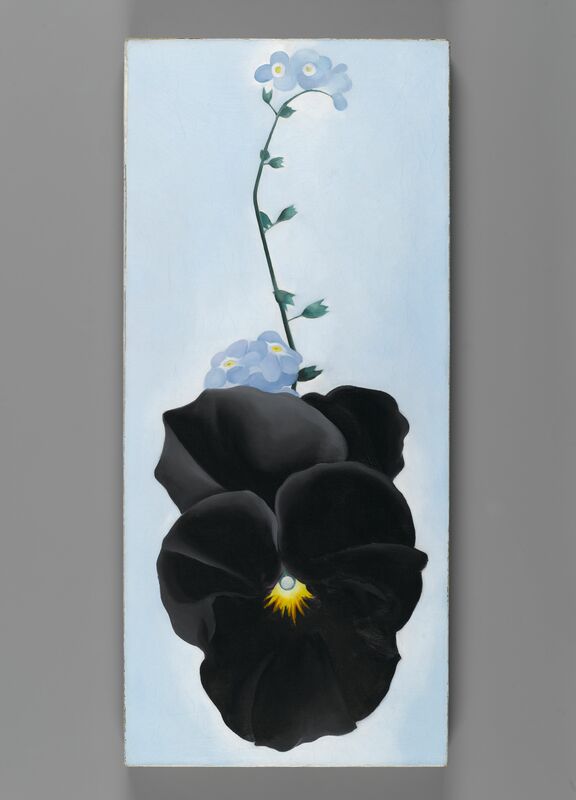 Georgia O’Keeffe: Living Modern can be purchased at the museum store. Georgia O’Keeffe radiated a modern style in every aspect of her life, from the clothes she wore to the spaces she inhabited. At the response station, visitors have a chance to share how they express their own style. Friday, Dec 7, 6:00–10:00 p.m. Discover the connections between the paintings, personal style, and public persona of one of America’s most iconic artists. Georgia O’Keeffe filled her canvases and closets with a unique, strikingly modern vision. Sip cocktails, dance, and pay tribute to the fiercely independent artist by dressing in O’Keeffe-inspired fashion and viewing a display of upcycled garments by Valerie Mayen, Project Runway alumna and head designer of Yellowcake Shop, and Margaret Burton, a fashion label with goals to educate the public on garment construction and conservation, transforming memorable clothes into new garments. Georgia O’Keeffe’s sartorial style became an intimate part of her artistic identity. She dressed like she painted, highly valuing abstraction, simplicity, and seriality. In this lecture, art historian and Living Modern guest curator Wanda M. Corn will explore the way O’Keeffe used her distinctive taste in clothes to model for photographers, creating a public persona that still dominates the American imagination today. Friday, December 28, 7:00 p.m. and Sunday, December 30, 1:30 p.m.